AV Audio & Sound Recorder – a Free and powerful software program to record audio from different sources. 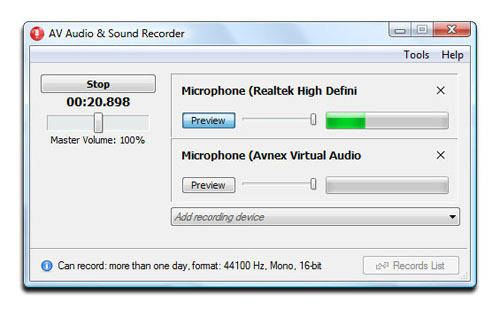 AV Audio & Sound Recorder can record live audio through a microphone or through any specialized virtual audio device. 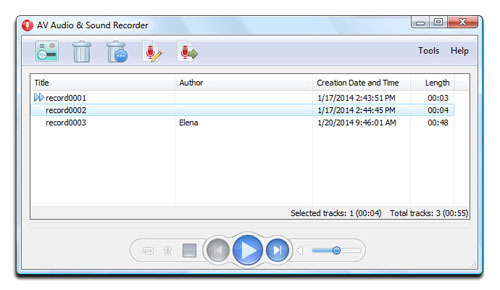 With AV Virtual Audio Device installed, the program can help to record conversations from any instant messenger programs, such as Skype, Yahoo, MSN, Gtalk, etc. Record from microphone and/or other input devices at the same time. 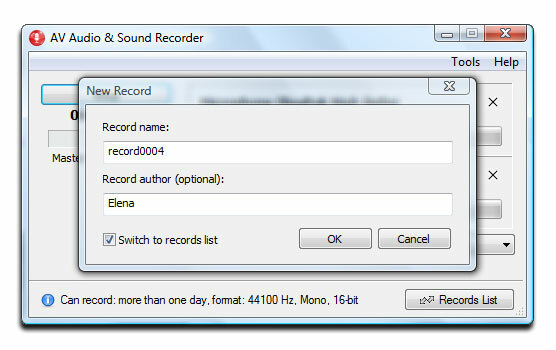 Export recorded clips to mono/stereo with output quality up to 16bit (96,000 Hz). Supports saving recorded clips directly into .MP3 (lossy) format, or directly into .APE (lossless); saving a file in a ‘lossless’ format matches and preserves the original recording quality. Supports exporting directly to AV Audio Editor for editing and morphing. *requires that AV Audio Editor is already installed. 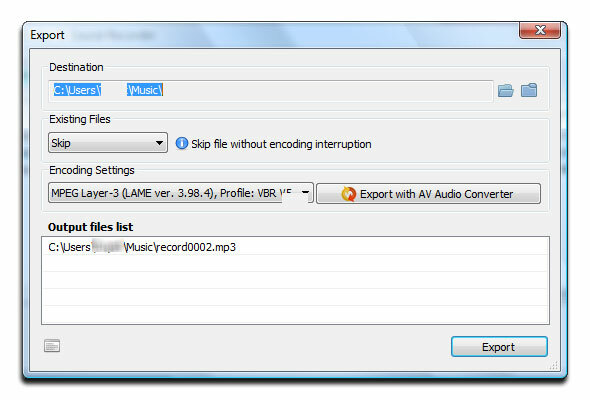 Supports saving outputs to a wide variety of file formats, such as: AAC; APE; FLAC; MP3; MP4; MPC; OGG; RAW; SPX; TTA; WMA; WV. *requires that AV Audio Converter is already installed. Sample rates and formats are handled with a high-quality re-sampling and dithering method.